Possibility to spend the night at Colombo airport (CMB), if open 24 hours. Services available, places to rest (free resting zones), or look for the list of nearby hotels and vip lounges..
Colombo airport is not very comfortable, but it is open 24 hours a day, so you will be able to spend the night at the enclosure if you have a flight early in the morning or if your flight is delayed. Where to rest: The boarding areas are quieter than the rest of the airport, and they also have more seats, some of them without armrests. Inside the enclosure there are also several VIP lounges that remain open during the night. 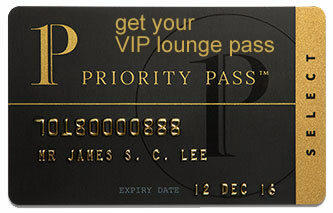 SEE VIP LOUNGES On the second floor of the main terminal there is a transit hotel if you wish for a better rest. Baggage: The airport provides left luggage services 24 hours a day, so you can forget about your bags while you rest. Eating and drinking: All options inside the airport remain open throughout the night. Other services available around the clock: Banks, ATMs, post office, commercial stores, baby changing facilities, medical center, pharmacy, spa, massage parlour. On the second level of the terminal is located the Serenediva Transit Hotel (Tel +94 112 265 899). You can find several alternatives in the surroundings, among them: Airport City Hub Hotel (Tel +94 777 688 288), Empyrean Hotel (Tel +94 112 258 258), Sasha Transit Hotel (Tel +94 112 260 210), Airport Kings Gate Transit Hotel (Tel +94 112 251 020), Hotel Good Wood Plaza (Tel +94 112 252 561), Sun Up Hotel (Tel +94 779 256 359), Capri Moon Transit Hotel (Tel +94 112 253 037), Otha Shy Airport Hotel (Tel +94 112 265 266), Igloo Airport Villa (Tel +94 776 988 726).